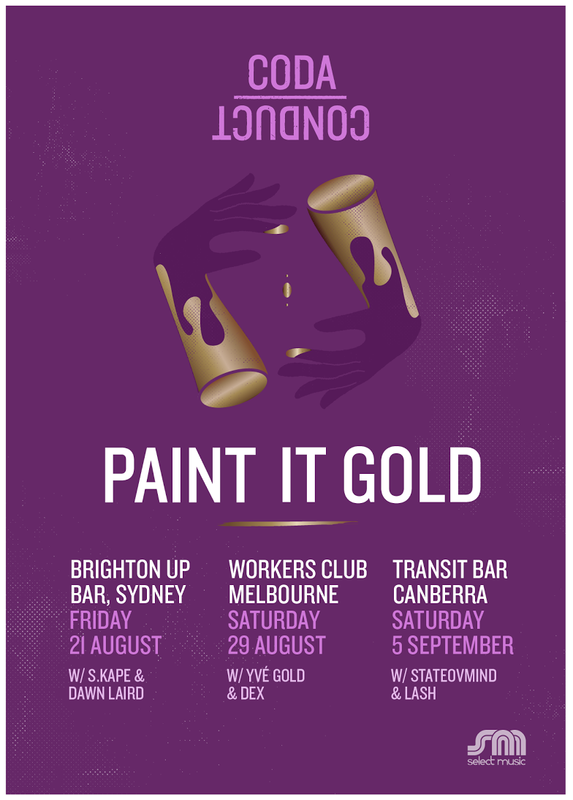 Hip hop duo Coda Conduct have just announced a three stop tour off the back of the release of their sassy new single, Paint It Gold. The tour, showcasing the pair’s new-found funk, will be covering Sydney, Melbourne and Canberra. Paint It Gold is the first release from the ladies since their debut EP, Butter Side Up, dropped in March. The EP saw Coda Conduct quickly gain attention, appearing on triple j Breakfast, being chosen as Triple J Unearthed Feature Artist, playing Groovin The Moo in Canberra, and receiving airplay across the country. Now, the pair is back in earnest with a sassy, finger-clicking-good new banger. With chimes, claves and a funk-ridden bassline, Paint It Gold is a smoother, more melodic step forward for the duo. Accompanying the release of the single is a high-energy new video, featuring sultry lighting, a late night in a bric-a-brac shop, and lots of breakages. Already gaining attention at triple j, Paint It Gold made its debut on Home & Hosed, being described by Dom Alessio as a ‘disco-hop jam’. Press photo by Cole Bennetts.